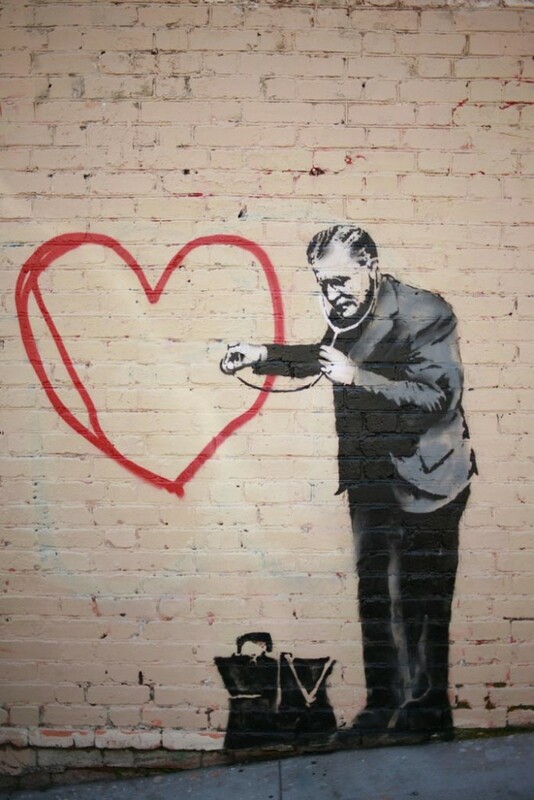 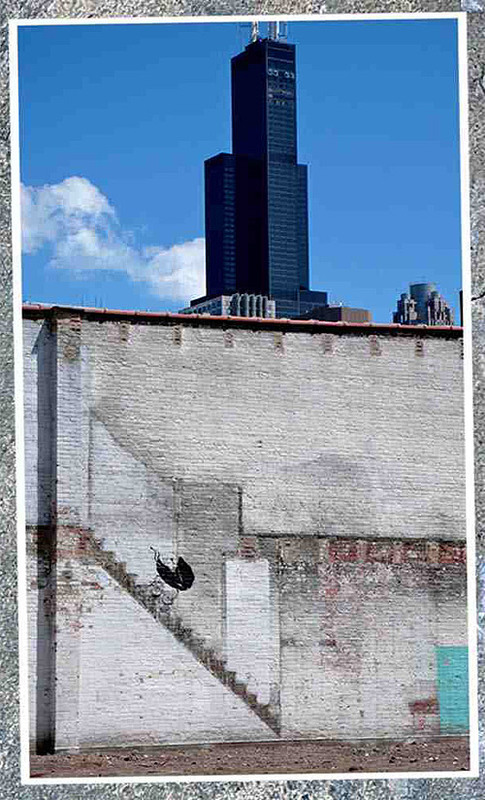 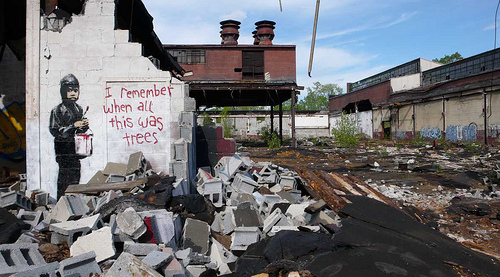 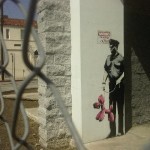 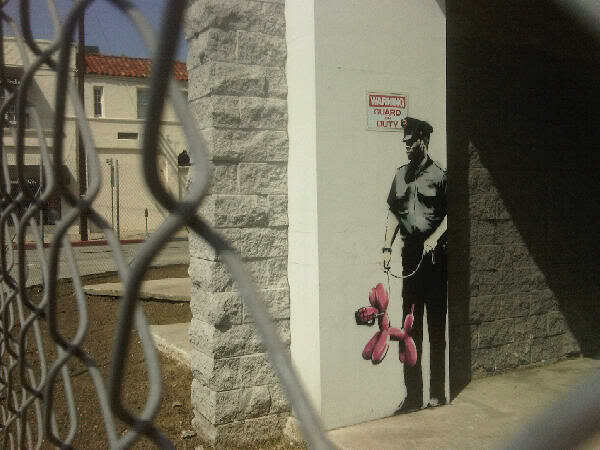 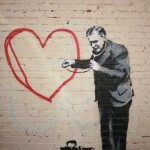 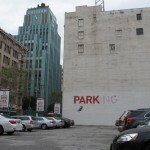 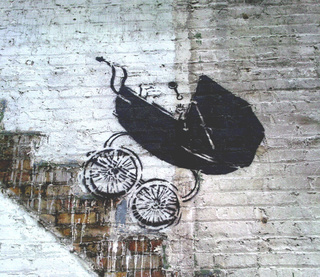 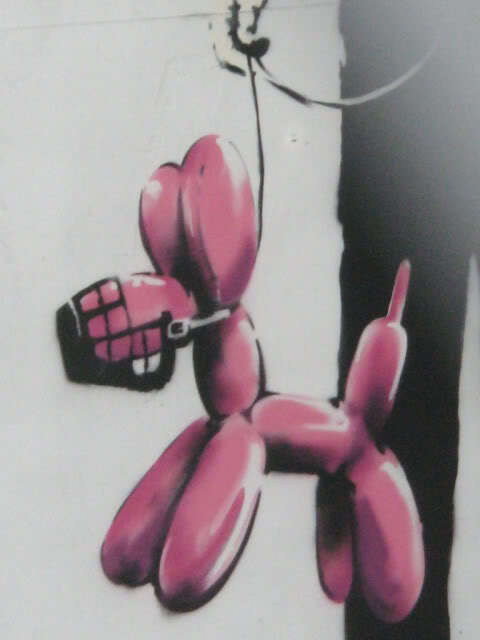 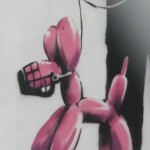 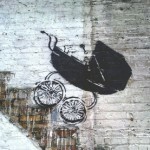 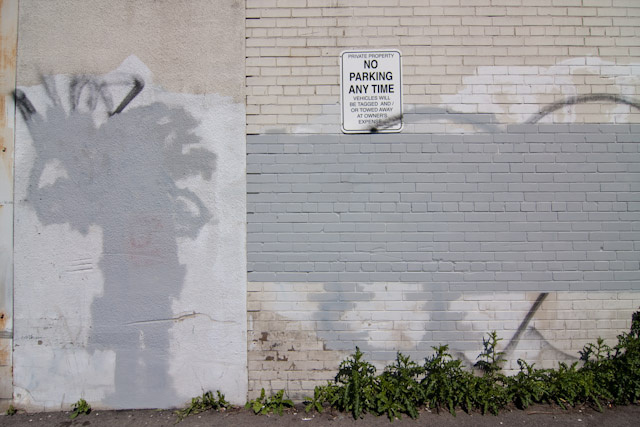 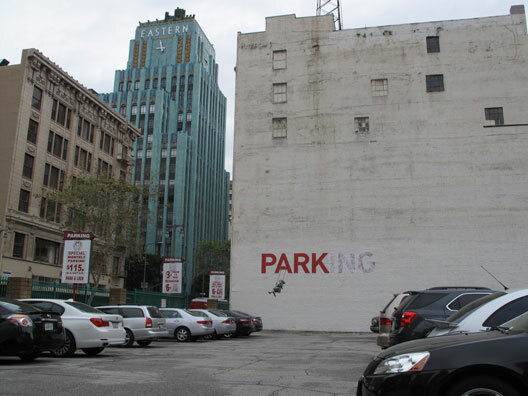 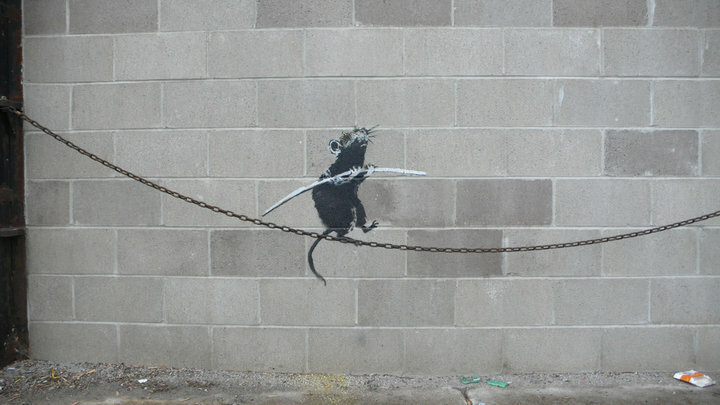 Bristol born artist Banksy has been at it big time in America and have left his mark in various towns and cities across America – Chicago, San Francisco, Detroit, Los Angeles and Toronto. 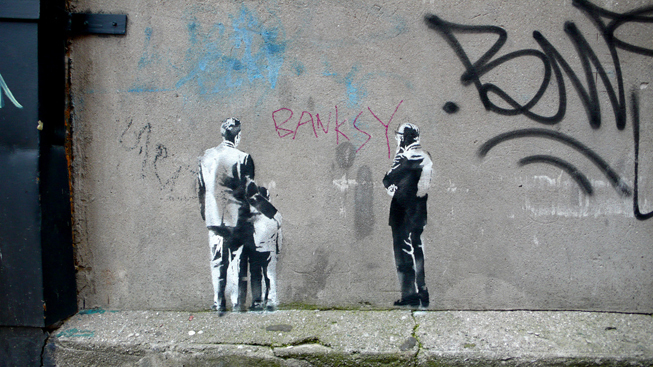 Banksy extensive coverage across the America right now is mainly due to the release of his movie Exit Through the Gift Shop (read post here) and Banksy has been showing how prolific and he can be but it wouls also seem that this success does not please everyone (especially in Toronto) and some of the very latest Banksy artworks have been either erased or just painted over. 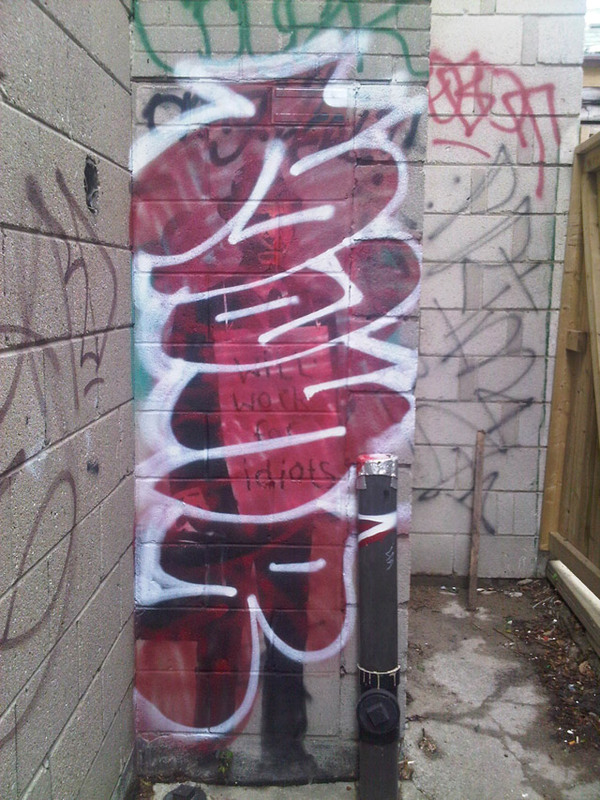 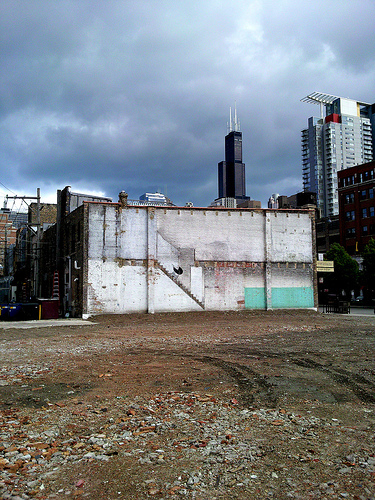 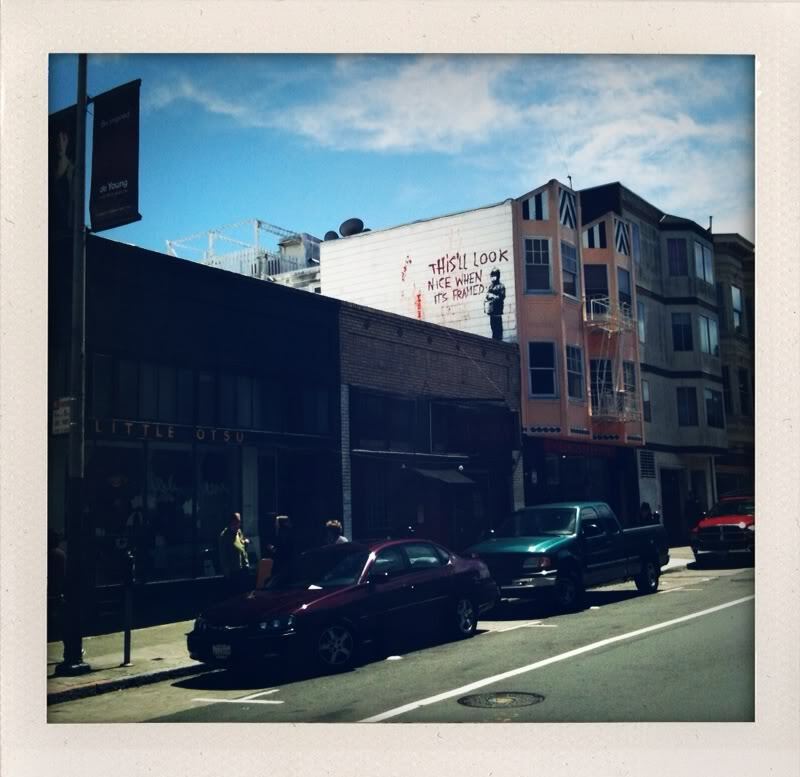 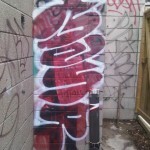 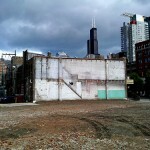 The “0% INTEREST IN PEOPLE” piece on Adelaide got painted over after the owner of the property ordered it. 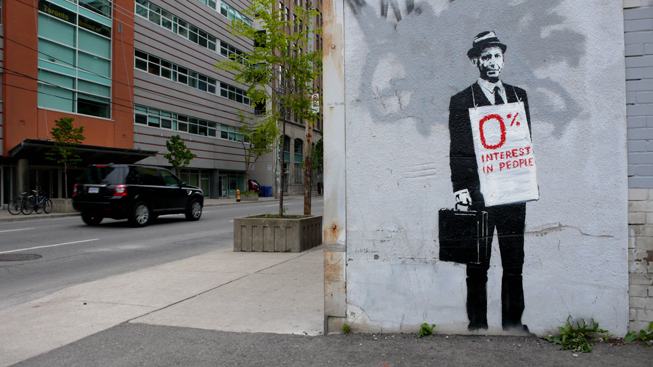 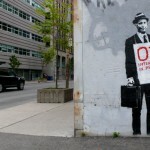 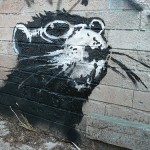 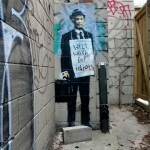 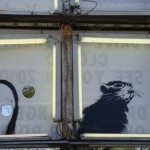 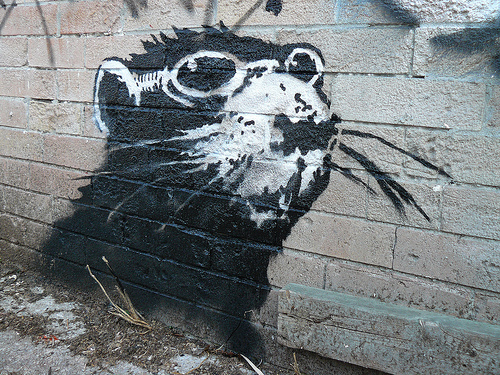 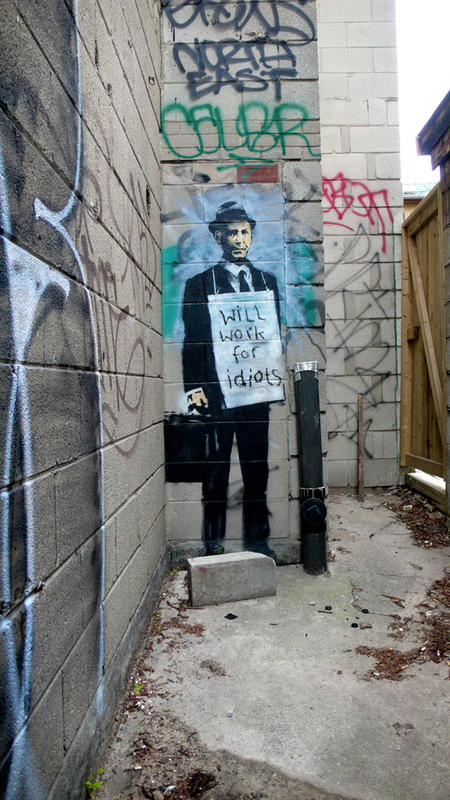 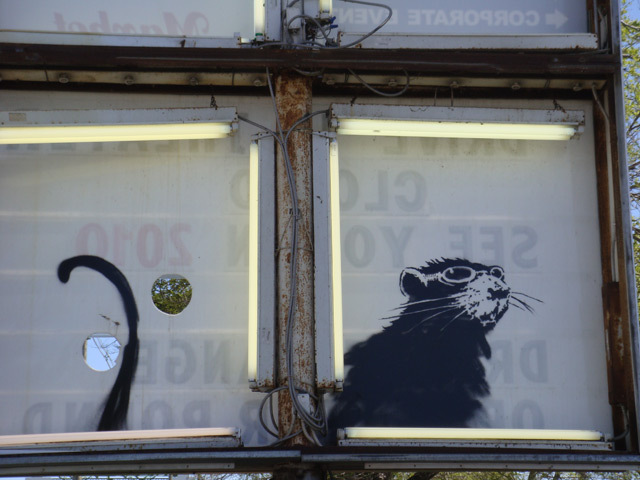 The “Banksy rat” on the back of a Cherry Street sign got carted and it would seem that the “will work for idiots” stencil, in an alley near Dundas and Manning has been graffitied over. 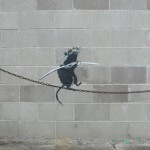 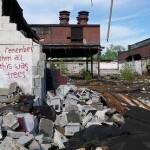 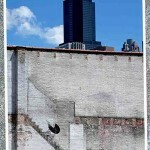 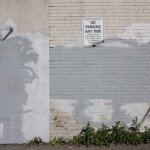 Street Art is/can be by nature ephemerical but come on guys not that ephemerical! 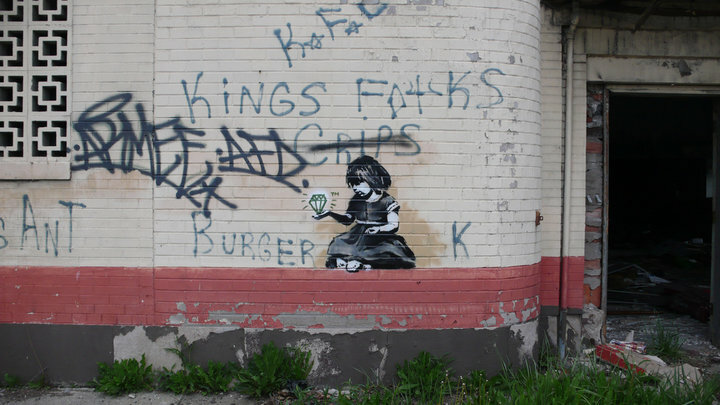 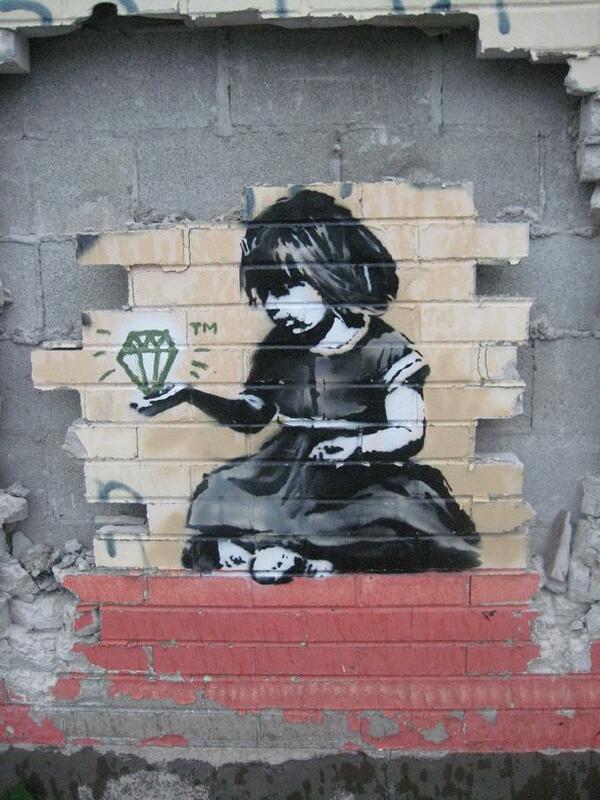 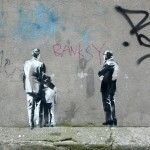 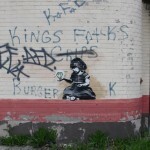 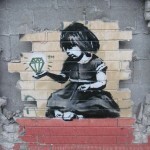 It would seem that not only King Robbo has a problem with Banksy (read post here) but worldwide success and six figure worth for some artworks would seem to make some people to become assy about it.